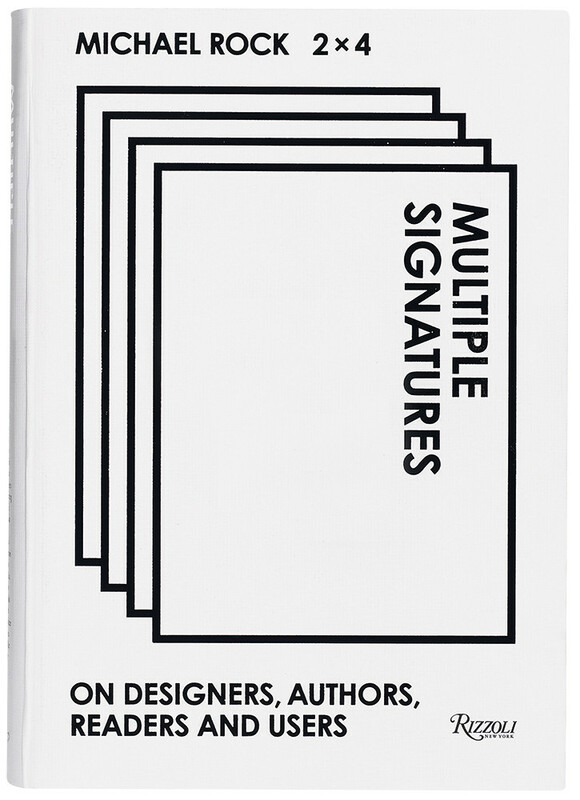 The uncontroversial premise of Multiple Signatures is that design is a collaborative act, and so a book marking the highly successful career of Michael Rock and his 2x4 design partnership should also be a collaboration. The book is delivered largely in words – safe, perhaps, in the assumption that if readers do not already know 2x4’s designs, an image-rich website with the practice’s work for Los Angeles County Museum of Art, Kanye West’s design consortium Donda, and many others is just a few clicks away. Multiple Signatures gathers a number of different voices – including Rock and his partners Susan Sellers and Georgie Stout, as well as prominent designers, thinkers and architects. It is a glittering cast including Koolhaas, Poynor, Van Toorn, Lyotard from beyond the grave, and Michael Speaks, editor of ANY, the architectural magazine which 2x4 designed in the 1990s. Multiple Signatures also features a number of talks Rock has given over the years. Sometimes the slides from these talks appear as images set into the columns on the page; otherwise they appear as terse descriptions of the slides used: ‘News photograph of a smug President George W. Bush’. Yes, words will do. Rock includes a few briefs that he has set his students: instructions to read Borges or investigate the sestina structure of a John Ashbery poem. Some 2x4 projects which are engaged with words are featured, too. One – from a brief to strategise the future for techno magazine Wired – involved writing a program to chart the rise and fall of buzzwords in the magazine over its first decade, a smart way of measuring newness. Sometimes Rock struggles to bring his interlocutors back to the subject in hand. A conversation with the London-based designer Paul Elliman, entitled ‘Voice as Brand’, has Rock repeatedly asking about the branded voice in pop, on the subway, the branded voice in the city and as the spokesperson of the corporation, while Elliman keeps digressing – brilliantly – on the sounds of Tourette’s Syndrome, glossolalia, the writings of F. Scott Fitzgerald and other, often esoteric themes. But that reinforces the logic of the format: conversations don’t need to have a point. For me, the most engaging piece in this anthology is ‘If You Don’t See The Fnord It Can’t Eat You’, Rock’s freewheeling and metaphor-rich essay on conspiracy theories. 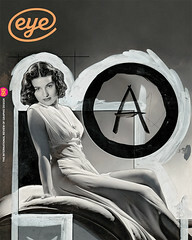 Rock’s enthusiasm for the task of rescaling graphic design for architecture is clear.Former 2x4 associate Lucia Allais adds an ambitious imperative: ‘… the goal is to make you think about images, their origins, their intentions, their material presence … What is at work here is not so much the education of your eye as the rediscovery of your image memory. 2x4 would like to call forth every image you have ever perceived and make it strange again by asking you to look at it rather than through it.’ This is the modernist challenge of ostranenie (making strange), scaled up for the 21st century. But she introduces a note of criticism: increasingly, she says, 2x4’s supergraphics operate as temporary ‘cinematic’ walls in ‘non-spaces’, such as the deserts in Qatar, to distract from what is being done behind them. Reserved in tone, circumspect in her argument, Allais provides an unexpected illustration of Rock’s call for design critics to reveal their subjects.